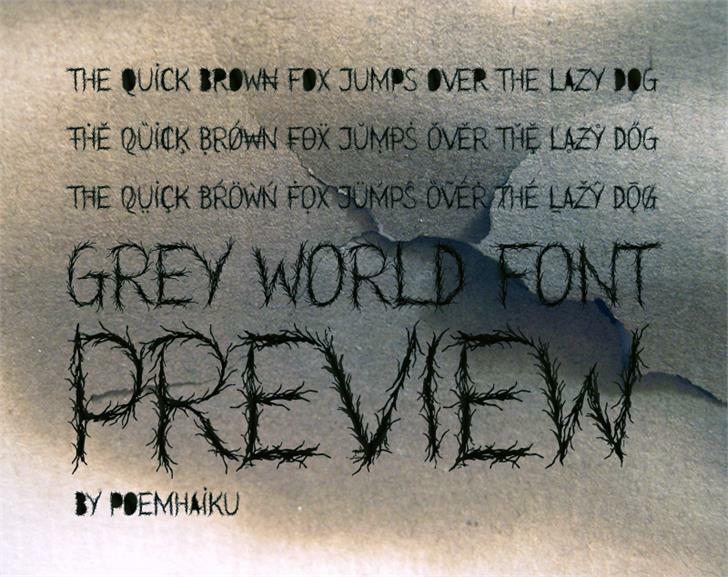 Grey World font made by Poemhaiku 2015. Supports multiple languages. Grey World © Poemhaiku <2014-2015>. All Rights Reserved.